View the entire table of contents for the Dec. 31, 2008 issue. A proposed expansion of the Russian River Valley appellation seems poised for approval even while some Sonoma County growers grumble that it largely benefits one wine producer and could ultimately dilute the integrity of the grapegrowing region. 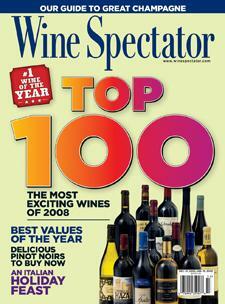 For the full article, check out the new issue of Wine Spectator, on newsstands December 1, 2008. End of the Road for Coonawarra Vineyards?